Whether you're fresh out of high school, interested in career advancement, or even a change altogether, you may be thinking about going (back) to college. As a helpful guide, take a look at this pros and cons list. Bachelor degree holders earn, on average, about $2.3 million over their lifetime while those with only a high school degree earn about $1.3 million. ‘It’s not what you know, but who you know.’ College provides opportunities to students that aren’t offered anywhere else. This can include the career services office, alumni events, career fairs, staff & faculty connections, and internships. A college degree can show your employer that you are motivated to take the next step in your career. It can also show you’ve acquired additional skills which can give you an edge over your non-degreed co-workers in the workplace when it comes time for promotions. 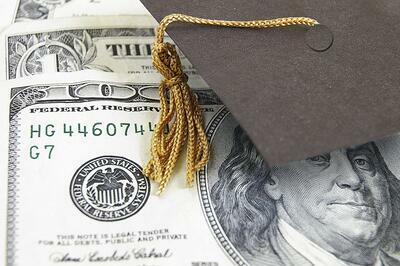 The average student leaves college with about $25,000 in debt. A Bachelor’s degree, on average, takes about four years to earn and that’s just if you take a full 15 credit course load each semester. For some, they see this as lost work experience. Even after all that time and money, a degree doesn’t guarantee you will find a job immediately following graduation. Statistics have shown that it can take anywhere from three to nine months, on average, for a graduate to land a job.